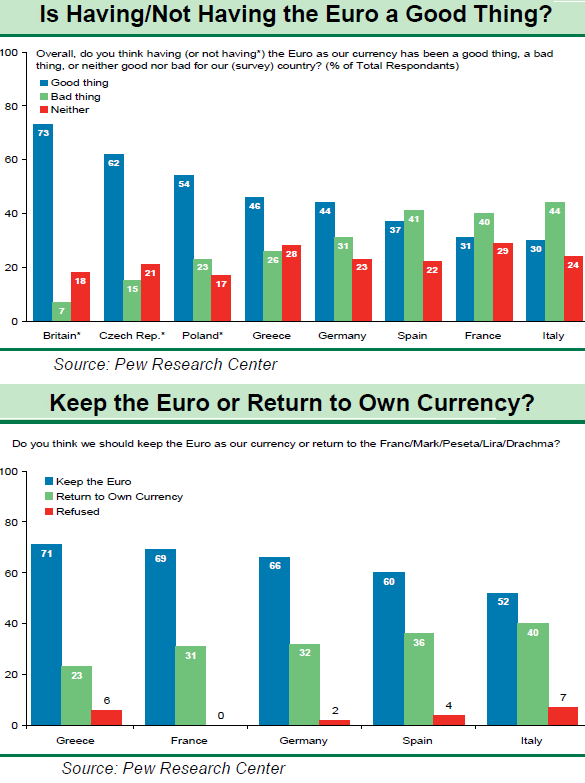 The latest Pew surveys that focused on the benefits of the euro and the ongoing wish to maintain the common currency have revealed some interesting results. The Brits are really really happy the UK is not part of it. 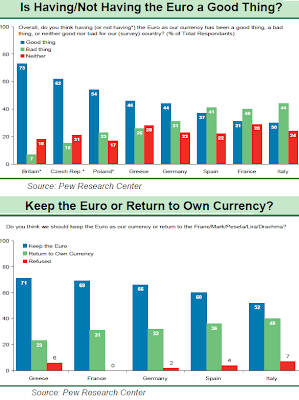 The Greeks want to keep the euro more than the Germans. And the Italians more than the others think it was a bad idea.